Quantum dots are semiconducting nanostructures which emit radiation over a narrow spectrum. This is caused by the restricted movement of excitons, formed when electrons are excited from the valence band into the conduction band leaving holes. When excitons relax light is emitted over a narrow spectrum due to the small crystal size, typically 2-50 nm, with the wavelength of light emitted dependent on the size. Recent work by Biqiong Chen and Shelia MacNeil at the Polymer Centre, in collaboration with various researchers, have harnessed the narrow spectrum emission of quantum dots for the potential of medical imaging alongside drug delivery and photothermal therapy. The GO quantum dots, composed of reduced graphene oxide-iron oxide, combined the superparamagnetic properties of iron oxide with the drug loading capabilities of graphene oxide. The quantum dots were found to be inherently photoluminescent and superparamagnetic alongside being biocompatible making the materials ideal for use as medical devices. Photoluminescence is useful in providing detection of the materials by fluorescent imaging. Superparamagnetism allows the magnetic moment of the quantum dots to be changed on a nanoscale. Hence, drug release from quantum dots can be stimulated by applying an external magnetic field for targeted drug delivery. Superparamagnetism also allows imaging by magnetic resonance imaging (MRI) to aid the visualisation of tumours and image guided surgeries. The GO quantum dots were loaded with the model drug lidocaine hydrochloride. The loading ratio of drug to quantum dots was 0.31:1 which was fully released in phosphate buffered saline solution over 8 hours indicating efficient drug elution. Testing of the GO quantum dots over a range of concentrations with varying laser powers showed a maximum temperature increase of 50 °C. This large temperature increase would be useful for treating tumours by photothermal therapy, where heat is applied directly to tumours to damage the cancerous cells. Original article: Photoluminescent and superparamagnetic reduced graphene oxide-iron oxide quantum dots for dual-modality imaging, drug delivery and photothermal therapy, R. Justin, K. Tao, S. Román, D. Chen, Y. Xu, X. Geng, I. M. Ross, R. T. Grant, A. Pearson, G. Zhou, S. MacNeil, K. Sun and B. Chen, Carbon N. Y., 2016, 97, 54–70. Article by Jasmine Lord; a PhD Student on the EPSRC Polymers, Soft Matter and Colloids CDT programme. For more information, please contact Dr Joe Gaunt at the Polymer Centre. Polymer centre academics, including Dr. Andrew Parnell, Prof. Patrick Fairclough and Dr. Oleksandr Mykhaylyk, have recently been involved in a collaboration that has helped shed more light on the origin of structural colour in the natural world. Structural colour refers to cases where colour arises from the scattering of light by nanoscale structural elements, as opposed to absorption of light by pigment molecules, and it is common to many species of animal. Achieving colour in this way has a number of benefits, for example it avoids the need for constant replenishing of degraded pigment. It has been known for a long time that birds make use of structural colour in their feathers, although the mechanism for this has also long been disputed. More recently, it was suggested that the colour arises from a number of ‘spongy’, relatively disordered networks of beta-keratin and air. The difference in refractive index between the two phases leads to coherent scattering of light, with the exact wavelengths scattered depending on the dimensions of the feather’s nanostructure. The team at the University of Sheffield were specifically interested in the origin of the non-iridescent blues and whites found on the feathers of the Eurasian Jay, as well as several other birds with similar colouration from a wide geographical range. In the study, the feathers were imaged using both optical and electron microscopy, although the most significant results were obtained by scanning with Small Angle X-ray Scattering (SAXS). This technique allows non-destructive probing of the nanoscopic length scales relevant to the optically-active structures. The colours of the feathers could be correlated to the size of the beta-keratin domains in the scattering structures, and it was shown that the variation in colour seen along individual barbs on the feather was due to continuous variation of the dimensions of the keratin ‘sponge’. However, the exact biological mechanism which allows this degree of control during the feather’s growth is still unknown. Their results also help explain why non-iridescent green colours in the natural world are rarely generated by structural elements alone, despite being obviously useful for camouflage. The keratin structures were found to scatter relatively broad portions of the spectrum: ‘structural blue’ can be obtained by scattering the blue and the non-visible, ultraviolet portions of the spectrum, and ‘structural white’ can obtained by scattering light across the whole of the visible spectrum, but green light occupies too narrow a set of wavelengths to be scattered selectively. However, one solution to this is to use a combination of ‘structural blue’ and yellow pigment, with the green tree frog being a good example. Article by Rhys Williams; a PhD Student on the EPSRC Polymers, Soft Matter and Colloids CDT programme. For more information, please contact Dr Joe Gaunt at the Polymer Centre. Polymer centre academics; Dr Alan Dunbar, Dr Ahmed Iraqi, Dr Alastair Buckley and Prof David Lidzey have reported the manufacture of organic photovoltaic devices from non-halogenated binary solvent blends. This work was carried out in collaboration with Dr Andrew Pearson from the Optoelectronics Group at Cambridge University. Organic photovoltaic devices (OPVs) have seen recent improvements in the power conversion, now being able to achieve 9 % efficiency. The performance achievable is approaching the benchmark which would allow OPVs to become commercially viable. OPVs use a conjugated polymer and fullerene derivative to act as a semi-conducting layer. However, currently OPVs require the use of halogenated solvents to dissolve and then deposit this essential semi-conducting layer. In order to produce environmentally acceptable OPVs, a suitable non-halogenated solvent must be found for the semi-conducting layer though the majority do not readily dissolve in such solvents. Hansen solubility parameters were used to predict solvent systems that would dissolve the organic semi-conductor. This was achieved by using a system with similar solubilising properties to that of the halogenated solvent. The solvent system used was carbon disulphide (CS2) and acetone. Both are used commercially and have a lower toxicity than the halogenated solvents previously used. The solvent blend had a solubility limit of 20 mg ml-1 compared to 10 mg ml-1 of the halogenated solvent. This increase is attributed to blending allowing for a closer match to the solubility parameters of the organic semi-conductor. OPVs produced using the solvent blend achieved power conversion values higher than those obtained from using a halogenated solvent, for both conjugated polymers used. Original publication: Organic photovoltaic devices with enhanced efficiency processed from non-halogenated binary solvent blends, Griffin, J.; Pearson, A. J.; Scarratt, N. W.; Wang, T.; Dunbar, A. D. F.; Yi, H.; Iraqi, A.; Buckley, A. R.; Lidzey, D. G., Org. Electron. 2015, 21, 216-222. Article by Luke Fox; a PhD Student on the EPSRC Polymers, Soft Matter and Colloids CDT programme. For more information, please contact Dr Joe Gaunt at the Polymer Centre. Polymer Centre academics Dr Simon Hayes and Dr Patrick Smith have been investigating an application for thermally-cured polymers to heal defects in composite materials in aircrafts, by applying this technology through inkjet printing. Composite materials, defined as materials made from two or more distinctive components which have different physical and chemical properties, are used in a variety of industries including the aerospace sector, due to their superior properties including high strength, durability and stiffness. However, an emerging problem with composites is the delamination, or separation, of internal layers. This leads to concealed damage within the material- a difficult problem to detect and treat. The use of self-healing polymers has been investigated for in situ repair of composite materials in airplanes. Composite specimens for testing were produced from two different monomers, which were synthesised and inkjet printed in layers as 1% and 5% w/v solutions onto a PTFE base. Heat was applied under vacuum, initiating the thermal polymerisation of monomers via a series of Diels-Alder reactions to form polymers. It is this thermal polymerisation that is being used to promote self-healing between damaged layers. The critical energy release and the interlaminar shear strength were assessed for each specimen. It was found that 5% samples showed superior interlaminar properties over control and 1% samples. A thermal cycle analysis was conducted on the composite specimens. The results indicated that after heat treating, the 5% samples showed less of a reduction in interlaminar properties than the control and 1% samples. This suggests that some rebonding took place in the laminate layers due to polymerisation. Overall printing of the monomers followed by the application of heat to start the polymerisation, therefore the self-healing process, has been shown to have a beneficial effect on the composite material. Article by Kathryn Murray; a PhD Student on the EPSRC Polymers, Soft Matter and Colloids CDT programme. For more information, please contact Dr Joe Gaunt at the Polymer Centre. Prof Peter Styring at the University of Sheffield has developed a technology which could be used to improve the speed of alpine skis, by embossing the base of the skis to reduce water adhesion. Reducing the water adhesion (or increasing hydrophobicity) has been shown to reduce the friction experienced by the ski and hence increase ski speed across snow. The technology takes inspiration from hydrophobic surfaces in nature, such as those found on Lotus leaves. These surfaces use microscale structures such as dimples or pillars to reduce surface wetting. Ski bases are made from ultrahigh molecular weight polyethylene (UHMWPE). Introducing microscale structures to this material presents a processing issue, since casting is not an option as the polymer degrades before its melting point. This problem has been overcome by applying heat and pressure (whilst remaining below the degradation temperature) to a steel mesh placed upon the ski base, in an embossing process (below). This pressing introduces the desired patterning to the UHMWPE. An increased contact angle (indicating reduced surface wetting) is seen following embossing (below), indicating increased hydrophobicity and therefore increased speed of ski. The original publication was Superhydrophobic Ski Bases for Reduced Water Adhesion. Nurul A. Nordin and Peter Styring, Procedia Eng., 2014, 72, pp 605–610.  Article by Stephen Knox; a PhD Student on the EPSRC Polymers, Soft Matter and Colloids CDT programme. For more information, please contact Dr Joe Gaunt at the Polymer Centre.